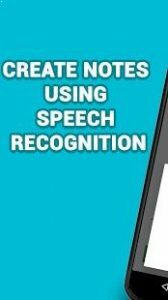 Voice notes : An app that allows you to quickly and easily record short notes as well as important ideas with set reminders using speech recognition. Have you ever had a situation when an interesting idea came to your mind at the most inopportune moment? 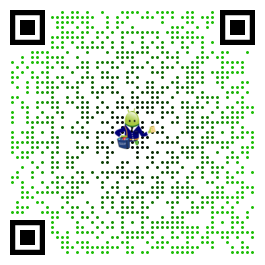 Now you can easily record it so that it will not get lost in your head. This app allows you to create notes for Android phones. The ability to create reminders is an important feature. You can use them to remind you of birthdays. Your friends and loved ones will be glad that you remembered to send them birthday greetings and nice gifts on time. You can set a reminder for tomorrow or any time you wish. It is very convenient to use this feature to ensure that you do not forget about important events and things that you need to do for your parents. Our app is also an excellent alternative to setting reminders on your computer, because your mobile phone is always with you and you will not miss reminders that are displayed there. Our online note app allows you to create notes anywhere you go. Given the fact that your phone is always within arm’s reach and our app is completely free, the world of possibilities is endless. Paid subscriptions for the app are a voluntary way of supporting the developer. You can visit our website to view the latest help articles for the app, ask questions, and leave suggestions for future app improvements. Just what I’ve wanted — voice to text, widget, quick, simple, not bloated, with just enough features for what I want. Did I mention this is perfect for me? Hello, thank you for the excellent feedback. Do not quite understand why two stars? Excellent app! Really love the shortcut you can toggle from the options, makes putting down notes practically immidiate. Adds are mostly unintrusive, but cleverly placed right by the add note button so it could be easy to slip up and click that instead. I hold no grudge though, app makers need to make money too and this one certainly deserves it. I’ll probably end up donating once I’m sure this is the app to keep! So far so great. I thought I had a great idea for an app, but you beat me to it :-). Would be great to see a move up/move down feature.